A national 'safety check' of maternity services at Chesterfield Royal Hospital last week (March 6th), has singled the Trust out as 'the only one in the Midlands' to achieve top marks. Assessors from the Clinical Negligence Scheme for Trusts (CNST) looked at the general clinical care mums-to-be, new mums and their babies receive, how women with high-risk pregnancy conditions are looked after, how staff communicate with patients and how services and care are organised. While an assessment normally takes two days, the team examining the Royal's services made their conclusions known at the end of day one - after being impressed with the efficient and effective way the hospital provided its evidence. 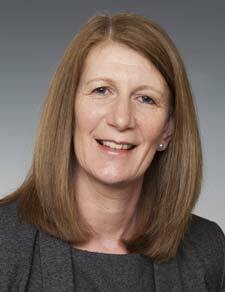 The final result means a score of 50 out of 50 against level 2 of the scheme - securing a 20% discount saving (£363,000) on its insurance contribution to the NHS Litigation Authority (the authority deals with medical negligence claims for the NHS). The clinical negligence scheme is designed to provide assurance that hospitals have robust processes and procedures in place to keep people safe in hospital. The maternity standards are especially tough - and make sure that ante-natal care, consultant and midwifery-led birthing units, maternity wards, community midwifery and neo-natal units do everything possible to reduce risks and incidents. Hospitals must prove they follow best practice guidance and recommendations. The assessment team highlighted evidence of significant progress since their last visit in 2012, when the hospital achieved the scheme's first-level. They were impressed with the multi-disciplinary approach the service has - with maternity, theatres and paediatrics working as a team to provide the highest standards for women and babies. Director of Nursing & Patient Care, Lynn Andrews (left), comments: "This is an excellent outcome and a glowing report. It's down to the dedication and hard work of staff across maternity and the services that support it. "The assessors said it was the quickest assessment they had carried out - they were impressed with the numbers of clinical staff who supported the process and confident with our approach. "We are delighted to continue to offer local women a maternity service that has been given the stamp of approval for the emphasis it puts on safety and reducing the risk of harm. We strive to provide high-quality, safe and people-centred services - and this achievement shows we are meeting that goal in our maternity services. 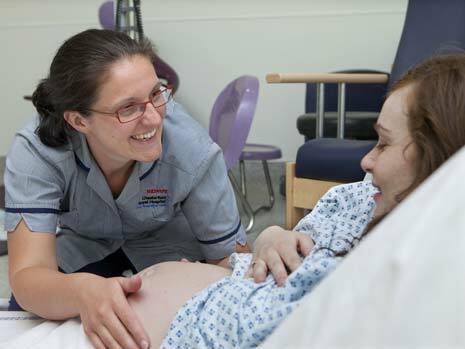 "I am very proud of the midwives, nursing staff, medical and theatre teams and the support workers who have worked together to improve what they do for mums and babies." The Trust will receive its formal CNST report next month - and in the meantime will continue its work to deliver high-quality, safe care for Mums and babies.